Here’s How You Can Use Feeling Deeply as a Superpower for Good. 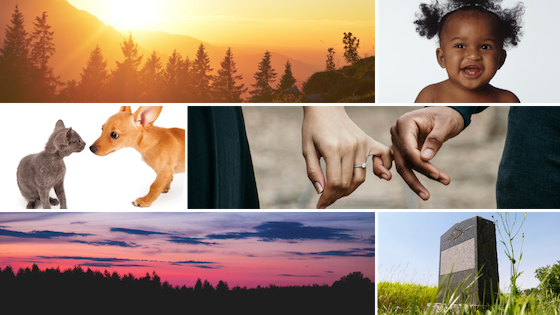 Sunrise, sunset, babies laughing, puppies and kittens, a scenic vantage, death, love, music … what comes to your mind, how do any of these things make you feel? How do you process and use your emotions? I’m a trifecta – an INFJ, HSP Empath which means, I get the feels, a lot. Not only do I feel things very deeply I also think very deeply about many topics, namely human nature – relationships and why folks do what they do to themselves and others. Because I feel so deeply and absorb and process lots of information and energy from people, animals, and nature, I am a very emotional person. This doesn’t necessarily mean that I cry often but mostly that my heart is easily affected. It’s very challenging navigating through my emotional stuff and lately, it seems like I feel things, even more. Perhaps my uptick in feeling deeply is due to hormonal changes or maybe it’s due to global energy shifts – I’m not entirely sure. I’d like to believe that I’ve become more enlightened and am now more equipped to consciously connect my surroundings to how I’m feeling. In times past I may have wished that I didn’t feel so much, so deeply, now though I am so glad that I do. My OCD coupled with introversion causes me to hyperfocus on my feelings to look for ways to change them and make them more socially acceptable. I’ve since decided that my feeling deeply is a superpower and that I shouldn’t try to change them but rather, put them to better use. 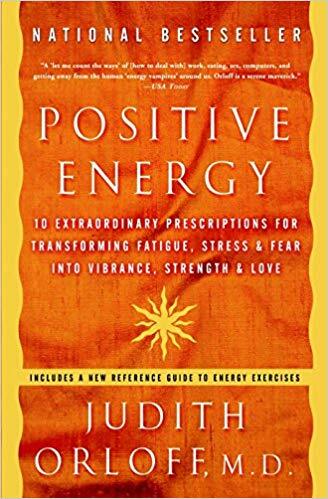 In her book, Positive Energy, Dr. Judith Orloff teaches how to “bubble” as a defense to absorbing other people’s energy. How I internalized Dr. Orloff’s suggestion was to envision a bright yellow energy field radiating from my heart to about 3-feet around my whole body. Whenever I get a sense that someone near me is suffering and projecting, I then visualize my bubble growing stronger with thicker walls so that their energy can’t penetrate to me. If you’re someone who feels deeply to the point that it’s debilitating, I highly recommend reading Positive Energy and doing the “bubble” exercise. Now I’ve decided instead that I’m going to try to use my feeling deeply powers for good if I can find a healthy balance of internalizing empathy while projecting warm, healing vibes from my energy bubble. I can’t bear to think about others who may be suffering feeling alone and hopeless so rather than use my energy to push away my feelings and repel those of others, I’m going to use my writing to reach out, to offer friendship and connection. Springtime is rebirth, renewal, and restoration – a recipe for a powerful shift which is what I plan to do. I am shifting from being a victim of feeling deeply to advocating and using it as a gift to help others. Are you highly sensitive? Does feeling deeply enrich or dominate your life? Maybe with a shift in perspective, you can appreciate feeling deeply as your superpower too. A version of this post first appeared at BecomingJae.com. Jae Hermann is an award-winning actress, reformed marketing professional, and full-time motorhome dweller who lives with her hubs and their two fur-babies in Olympia, WA. Read Jae’s midlife mental health, wellness, and lady boss bits on her blog, Becoming Jae. Also connect with Jae on Facebook, Twitter, and Instagram.